The signature sound of RCA production gurus Hugo Peretti and Luigi Creatore is best likened to fondue — rich, creamy and irrefutably cheesy. 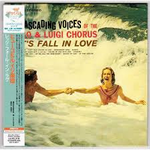 Let's Fall in Love, credited with poetry and panache to the "Cascading Voices of the Hugo & Luigi Chorus", updates the signature sound of Eisenhower-era pop chorus albums for Kennedy's New Frontier, adding energy and even a touch of soul to the lush, ludicrously romantic formula. It's fluff, of course, but undeniably well-crafted fluff, fully exploiting the cutting-edge of early-'60s studio technology to forge a multi-dimensional sound that's as big as it is bold. Including Sinatra's finest recordings from the most consistently accomplished era of his career, The Capitol Years includes three discs and 75 songs worth of swinging standards and bittersweet saloon pop, the music Sinatra made after his career and personal life had crashed and singing was all he had left. His masterful baritone and remarkable phrasing here work in perfect combination with arrangements that swing and swell to the heartbeat of loves lost and found. It is these performances for which Sinatra will be forever remembered, for surely, no one has ever created music more beautiful than this. The pundits claim that Ol' Blue Eyes did his best work with Capitol in the '50s, but there's more great '60s and '70s stuff here than you can shake a stick at. After all, Sinatra wouldn't start his own label only to sing schlock. This four-CD set was released to celebrate The Chairman's 75th birthday and it traces the mellowing of that tremendous voice like the aging of a fine wine. It also adds eight unreleased tracks to a staggering song list highlighted by biggies like "New York, New York," "My Way," "The Way You Look Tonight," "It Was a Very Good Year," and "The Song Is You." Although actor/pop singer Sylvie Vartan is Bulgarian, she would eventually receive recognition from the French, usually singing entirely in the language of her adopted homeland. Born August 15, 1944, in Iskretz, Bulgaria, Vartan showed great talent for both acting and singing at an early age, resulting in an appearance in the Bulgarian film Under the Yoke in 1950. Two years later (while only ten years old), Vartan and her family relocated to France. 1961 would prove to be an important year for Vartan's career, as she entered a recording studio for the first time, picked up some TV work, and appeared at the famed Olympia Theater. 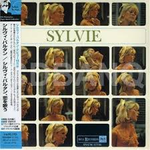 The early '60s saw the release of a steady stream of singles, EPs, and albums (such as 1962's Sylvie), in addition to further appearances in European movies -- including A Moonlight in Maubeuge and Just for Fun.